Saunas are able to bring a wide range of different health benefits such the ability to clear your skin, remove toxins and help you relax. In order to ensure that you get all of these benefits and more, you want to make sure that you are getting the best home sauna you can. 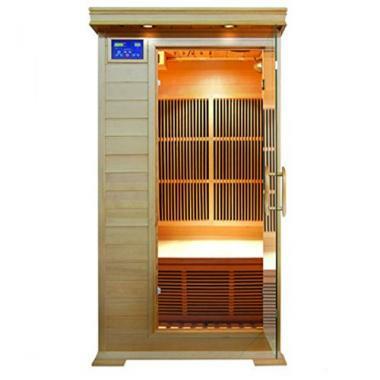 To get the best indoor sauna for your situation, the size is going be of key importance as is the overall quality. In this buying guide we will explain all the key features and show you the best products on the market and once you’ve got to the end, you’ll know exactly what you’re looking for. 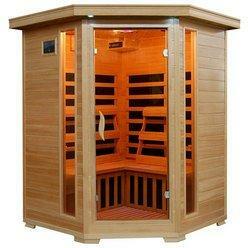 In terms of home sauna reviews, this is a top rated indoor sauna with a long list of positive comments. That will give you peace of mind that you’re getting a quality product. It’s made of Canadian hemlock wood and is going to be simple to install. There is an aux control to allow you to play your favorite music and two speakers to be able to deliver that great sound. The temperature is easily managed to ensure that you stay comfortable enough for the whole length of your time in there. This in home sauna is another product that is going to be ideal for two people but without the comfort of a little extra space of the previous model. It’s still a very highly rated product that is going to be able to satisfy all of your needs. It’s also made from hemlock wood and has the sound system available with two great speakers. A two year warranty is offered and this product is going to be ideal for anyone looking for a two person sauna but with more limited space. JNH Lifestyles have made another great sauna for home with this brilliant product that is going to be perfect for anyone looking for a one person sauna. Its smaller size also gives you a greater range of installation possibilities. That installation is going to be very easy with its quality construction and this is another well-made product that is highly rated. The sound system and LED lighting are going to help you relax as you enjoy all the health benefits. This is one of the best home sauna kits available and another one that has a very high level of ratings. It is able to squeeze in two people but is more ideally set-up to fit one person in there in order to be fully comfortable while you’re in there. There are five carbon-nano heaters in there to bring you to the temperature that you want very quickly. This is another product that is made from hemlock wood and is going to be able to give you an easy build to be able to have your sauna installed in no time. 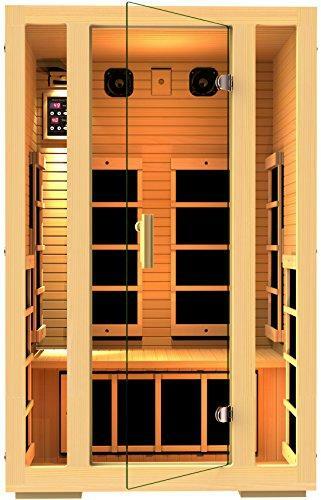 This infrared home sauna is another great product from Sunray but one that is going to be a lot more comfortable for two people to sit in, due to the increased amount of space that is available. It has seven different heaters to bring the temperature to the right level very quickly. It’s a highly durable product that is made from the highest quality materials. You’ll be able to have it installed in no time at all with its grove construction and this is another sauna that comes with a lifetime warranty. 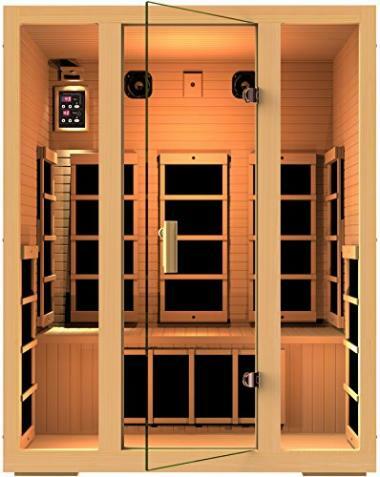 Santa Fe are another company who have made a great at home infrared sauna but one that is going to be able to sit three people, making it larger than most models and it is also ideal for two people who want to be able to have a lot of space. It produces low levels of EMP, making it very safe and it has a control panel that is very easy to use. The sauna also has a CD player and MP3 plug-in to let you relax to your songs and that is helped by the color lights that it has too. Dynamic have been able to produce one of the best home sauna units on the market and one that has a very stylish design. 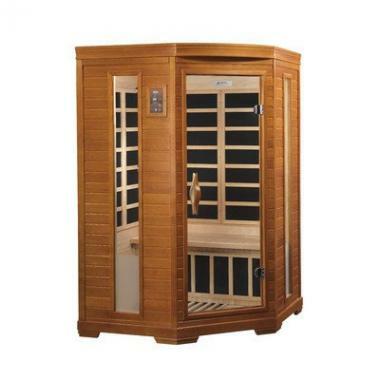 It has seven heating panels that emit low EMF to ensure that your sauna is up to your desired temperature in no time. It is able to sit two people comfortably and like all these products it is made from Canadian hemlock that will ensure that it is durable. The tempered glass is going to ensure that the heat stays locked in while you enjoy all the benefits of a sauna. The size of the infrared sauna you need is going to be a huge matter of the space that you are going to have in your home. Some of these saunas are about the size of a shower cubicle whereas others are much bigger and therefore take up a lot more space. Before looking into buying a sauna, it’s important to measure out the space that you plan to be allocating for it, as then you will be able to decide what type of product is going to be able to fit there. Most people want to get the biggest product out there, but this might not always be possible. These products are generally easy to assemble and therefore getting them in place is rarely going to be an issue. You also want to be able to take other aspects into account when looking into the location of your sauna such as the steam produced, the sound that is going to come from it and also the level of privacy that you’re going to want. All the products that we have looked at in this list have a very high level of quality, not only in their materials but also in their design and the additional features that you are going to have and the overall level of their build too. 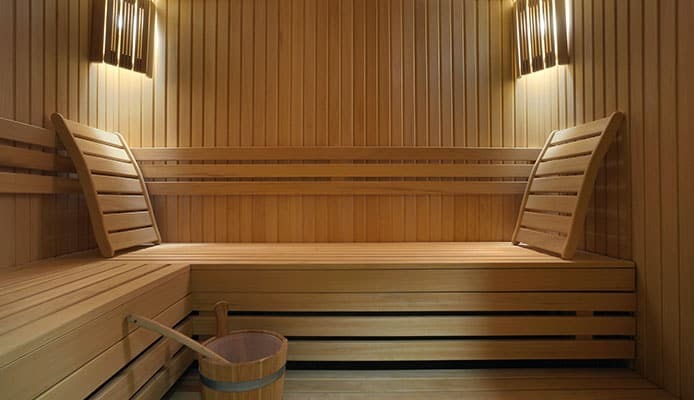 In terms of the materials, one wood that we often see used is hemlock wood and there are a few good reasons for this as it is a strong material that is going to be able to cope with the heat that is produced from the sauna. It also makes the product easy to install too. The glass of the sauna is also going to be important as everything in there needs to be able to cope with those high temperatures. The glass of these products do that very well and will help to ensure that the product is going to be able to last for a very long time. 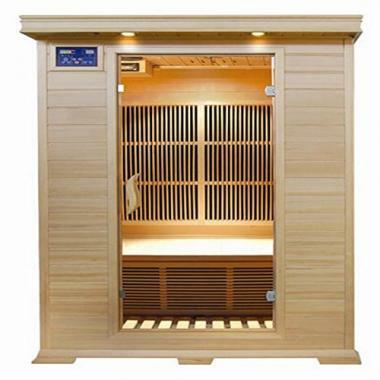 The user reviews are a good source to check the quality of these products as you will be able to see from people who have been using the sauna for a very long time. This will give you a great indication of the overall build quality and how long it’s going to last. Another way to give yourself peace of mind that you are buying a quality product is to see if there is a good warranty it offered. If there is a good warranty, this will gives you confidence that you are getting a highly durable product and also you know you’ll be protected if anything fails. 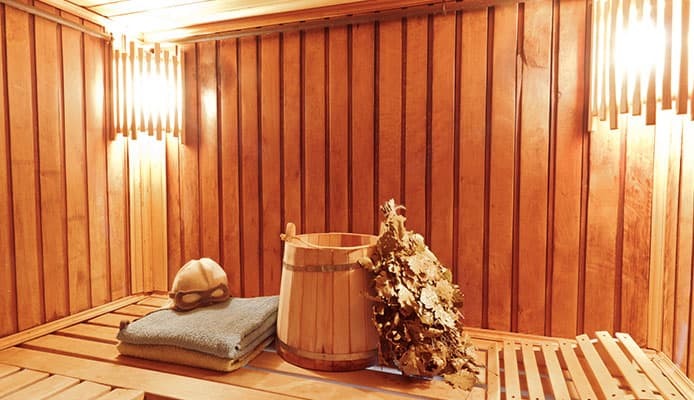 A large factor in your buying decision is going to be in respect of how many people are going to be using the sauna. This obviously affects the overall size that you need and also the amount of energy that is going to be required to bring it to the right temperature. Even if there are two people in your household who will plan on using the sauna, you might not want to use it at the same time and therefore getting a sauna that has the capacity to hold one person would be fine, but often people will want bigger than this if they have the space. You have to be careful about this though, as the descriptions can often be a little misleading. A sauna that claims to be able to sit two people could mean that two average-sized people would be able to sit uncomfortably close to each other while probably touching. If you are looking at getting a sauna for multiple people then it’s a good idea to make sure that it’s going to be able to fit everyone that you want in a comfortable and easy way. This depends a lot on personal preference, but it is a good idea to check it out. While some of these products come with an in-built speaker system, at other times it would be a great idea to get your own waterproof MP3 player and also the waterproof headphones that will give you a great relaxing sound while you’re opening up your pores. As mentioned there, a few of these products come with their own sound system which can be a great feature, allowing you to connect to your music and play it through high-quality speakers. This will make it easier and more comfortable to listen to your favorite, songs, podcast or audiobook. It’s also a good idea to see how the sauna will increase your blood flow and your heart rate too, and this could be easily done with a waterproof Fitbit or a regular waterproof fitness tracker. This will be able to provide you with some interesting information while you are in there. It’s also a good idea to have a waterproof watch to time your stay. Another great feature to have with these saunas is multi-colored LED lights which can help to set up a nice ambiance, and allow you to relax even more. These are usually easily controlled, allowing you to put on your favorite setting. If the installation is going to be a key issue for you then looking into a portable sauna would be another great option. Thankfully though, the majority of these saunas are very easy to install as long as you carefully follow the instructions. A tongue and groove construction is often provided, which will allow you to easily slot in the pieces together. If you are struggling then it might be a good idea to ask for help from someone that you know or call a local handyman. Q: What Is A Home Sauna? A: A home sauna is a great addition to any home where you don’t have to your nearest gym or health spa in order to get the health benefits. This would be hugely convenient and allow you to sweat off in the privacy of your own home. The design of these saunas means that you can place them anywhere in your home as long as you have the space to be able to accommodate. Bringing the experience of the sauna into the comfort of your own home will be something that you won’t regret. Q: What Are The Benefits Of A Home Sauna? A: There are many health benefits of an infrared sauna and you can also get many of these benefits from steam showers too. They are known for their relaxation qualities and will help you to get rid of the stress of everyday life out of your body. Away from that, they are also able to ease joint pain and help your muscles to relax, help to remove toxins from your body, increase your blood circulation and also help to clear your skin too. There are other side benefits too and they are a great product to have. Q: Where Should I Place My Sauna? A: These saunas can be placed anywhere that you want but there are some things that you will want to bear in mind before you do. These products can get very warm and also let off steam, and that can be dangerous in the wrong conditions. The reason for that is that it makes the perfect breeding room for mold and therefore ideally you would either want it to be placed in a room with hard tiled surfaces or with a lot of ventilation. If this is not an option, then you simply need to inspect the impact it’s having on the room it’s in on an intermittent basis. Saunas have been very popular for a long time now and were commonly used by the Romans for social reasons and relaxation after being invented by the Finnish long before that. Their popularity hasn’t wavered and that is in large part due to the immense health benefits they have. In order to have those health benefits in your home there is plenty to consider with size being of utmost importance. You need to make sure that you are able to accommodate everyone who might be using it and it’s also a good idea to look at any additional accessories or features you might need. Once you have worked all of that out, then you will be in a great position to be able to work out what is going to be the best product for you. After you have your perfect sauna installed, it’s time to sit back, relax, and enjoy all the benefits it brings.